Dhaka, 27 Mar, Abnews: Ronald Koeman claimed his first win in charge of the Netherlands national team as the Dutch cruised to a comfortable 3-0 friendly victory over an uninspired Portugal in Geneva on Monday. The three-time World Cup runners-up have failed to qualify for this year’s finals in Russia, but Koeman’s second game at the helm saw goals from Memphis Depay, Ryan Babel and Virgil van Dijk seal an impressive win. 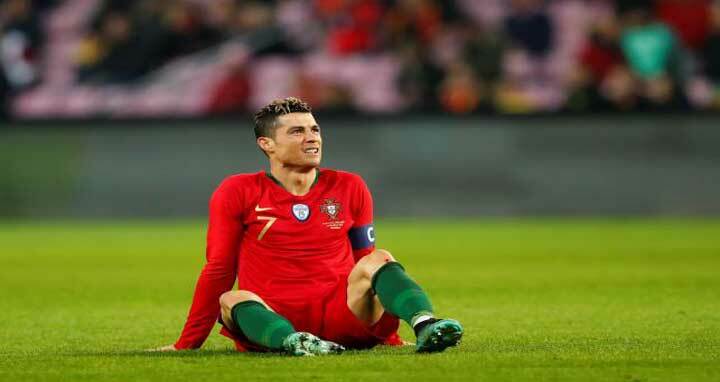 It was a disappointing evening for European champions Portugal ahead of the World Cup, as talisman Cristiano Ronaldo cut an isolated figure just three days after his late brace had seen off Egypt 2-1. “They had four chances and scored three times, they deserved their victory,” said Portugal coach Fernando Santos. “We decided to play with a system totally different from the one that the team has been using for a number of years,” said former Everton boss Koeman. “The difference between tonight and last Friday is that we were more comfortable and scored quickly. The team had confidence. But the Netherlands doubled their lead just after the half-hour mark as Ryan Babel headed in Matthijs de Ligt’s driven cross from close range. The goal continued the Besiktas winger’s return to form, having only been recalled to the Dutch squad last year after a six-year absence. After a low-key affair that was a far cry from the two teams’ infamous ‘Battle of Nuremberg’ at the 2006 World Cup, the Dutch claimed a win they will hope can spur them on to better things having missed out on back-to-back major tournaments.